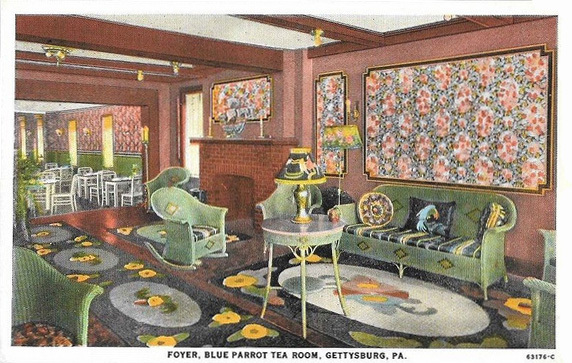 “Hoity toity” was how a resident of Gettysburg PA in the 1980s remembered The Blue Parrot Tea Room in its heyday. The tea room opened in 1920 on the Lincoln Highway (aka Chambersburg street) through Gettysburg [pictured above, before 1928]. 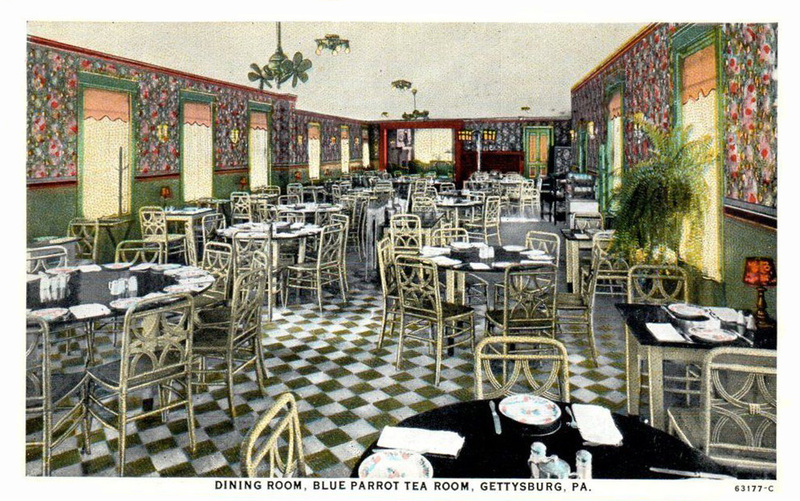 Known initially as the Blue Parrot Tea Garden (rendered on its large lighted sign in pseudo-“Oriental” lettering), it was a soda fountain, candy store, and lunch spot at first. 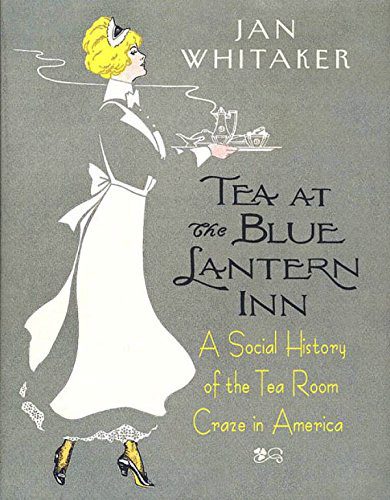 It quickly earned a reputation as an eating place for “discriminating” diners, according to its advertisement in the 1922 Automobile Blue Book [shown below]. 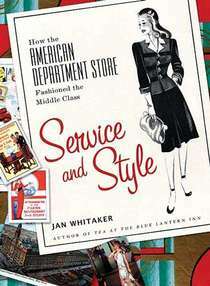 Later advertising described the restaurant as modern, sanitary, and perfect for people who ran an “efficient table” at home. Its creator was Charles T. Ziegler, who spent years on the road as a salesman for a Chicago firm, returning to his hometown to open a gift shop in 1916 with the then-trendy name of Gifts Unusual. His shop featured imported articles such as Japanese household items and kimonos. In 1917 he bought the building his shop was in, turning it into a tea room a few years later. The Blue Parrot remained the place to go for decades. 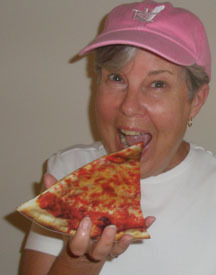 Local colleges held dinners there, as did fraternal organizations and women’s clubs. Guests included bishops, Washington dignitaries, Harrisburg business men, and traveling celebrities. A high point came in 1926 when Douglas Fairbanks, Mary Pickford, and Gloria Swanson and her husband, the Marquis de la Falause, stopped for dinner on a chauffeured road trip following the New York funeral of Rudolph Valentino. The Blue Parrot could be counted on to furnish special holiday meals for Thanksgiving, New Year’s Day, and Easter. In 1924 it published the following menu for Thanksgiving Dinner, served from 11 am to 9 pm. Dinners at the Blue Parrot in the 1920s ran from $1.25 to $1.50, while lunches were often 75 cents. 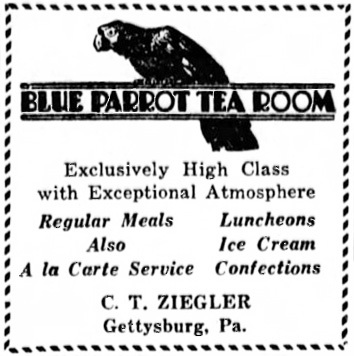 The tea room advertised its prices as moderate, yet probably they would have been out of reach for many of Gettysburg’s working class residents. In the 1930s Depression the Blue Parrot, like so many other restaurants, was forced to lower its prices considerably. In the mid-1930s it offered lunch platters at 30 cents and New Year’s and Thanksgiving dinners for as little as 50 cents. No doubt the end of Prohibition was a life saver for the Blue Parrot. 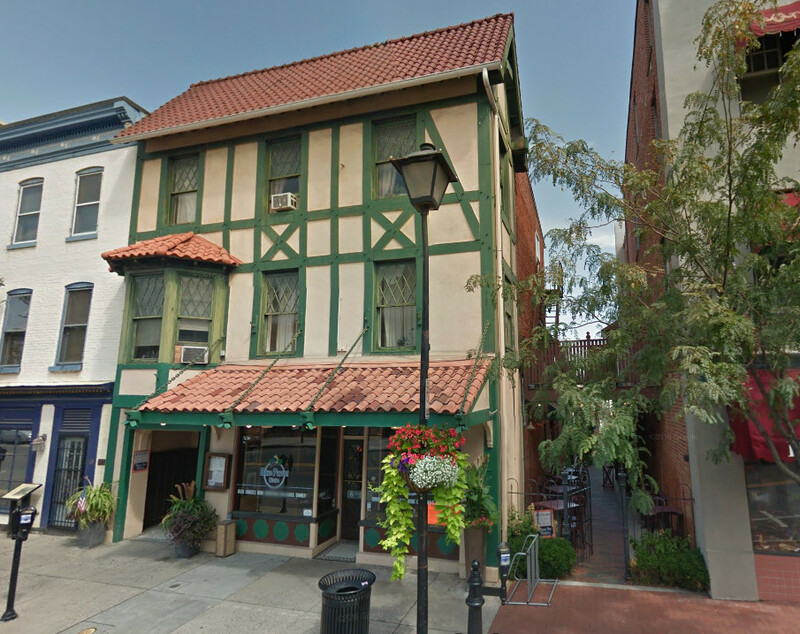 As soon as beer became legal in 1933, Ziegler opened a Blue Parrot Tap Room and Grill on the second floor, with extended hours, Pabst Blue Ribbon on tap, and 10-cent crab cakes and sandwiches. He was at the head of the line for a full liquor license when they became available a few months later. The bar and grill had a western slant with rustic log cabin decor, knotty pine paneling, and a wagon wheel light fixture, all likely meant to appeal to a wide range of male customers. 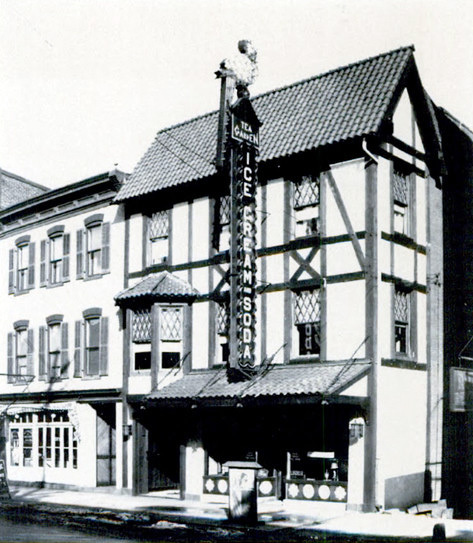 In 1944 Ziegler sold the business to Gettysburg’s fire chief, James Aumen, who ran it for the next ten years, after which it had a succession of owners. Even in recent times, the original name has continued as the Blue Parrot Bistro, and now the Parrot. Love this! It’s a bit more local for me and I hope to ask friends who are near Gettysburg if they have ever been. When I was growing up we’d have pumpkin and mince pies at Thanksgiving. People get too goofy over the meat in mince meat pie. you can still get it if you know where to look. Unfortunately it is very hard to find even the Borden Nonesuch Mince anymore so fans of the pie must find recipes to follow. the fruits vary most have chopped apples and raisins, but I’ve seen some other fruits listed in historic recipes. What is interesting to me is that on the Blue Parrot Thanksgiving menu – which seems quite lavish, there is no Pumpkin Pie offered. Is it only in more recent time that Pumpkin Pie has become synonymous with the Thanksgiving meal? Or, am I just being an ignorant non-American? Pumpkin pie for Thanksgiving is a longstanding tradition. But mince pie, as is on the Blue Parrot menu, was also a standard, so it isn’t too surprising that they only offered one of the two favorites. It seems, though, that mince meat pie (as it is often called) is not served very often any more, so I’d say that the standard American Thanksgiving menu is always changing.